Corkscrew Gulch has to be one of the most beautiful Jeep trails in the area. 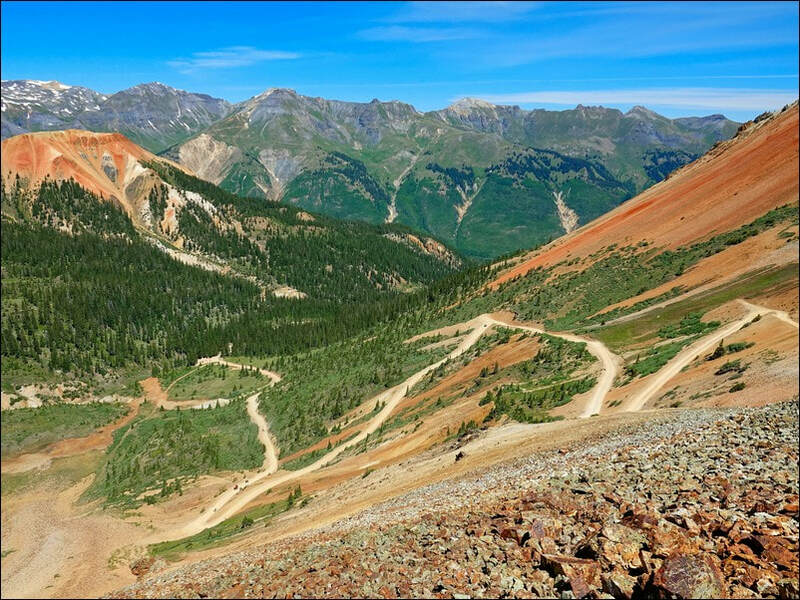 The red color in the mountains is caused by oxidation of hematite or iron ore.
We frequently run this trail from US 550 to Animas Loop 2.0, but it can be run either way. This web page description begins on US 550. A very popular trail so expect lots of company. 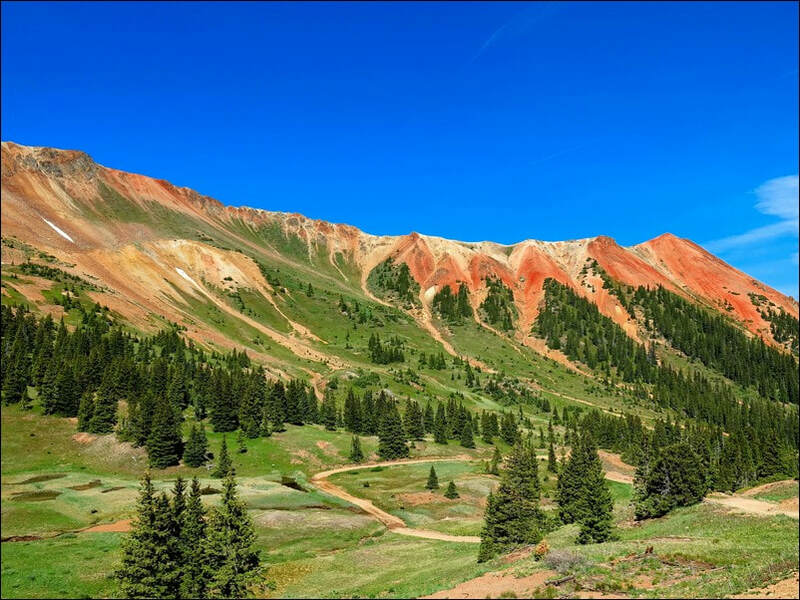 There is a run up through the trees before you break out into a large basin between Red Mountains number 1 and 2. 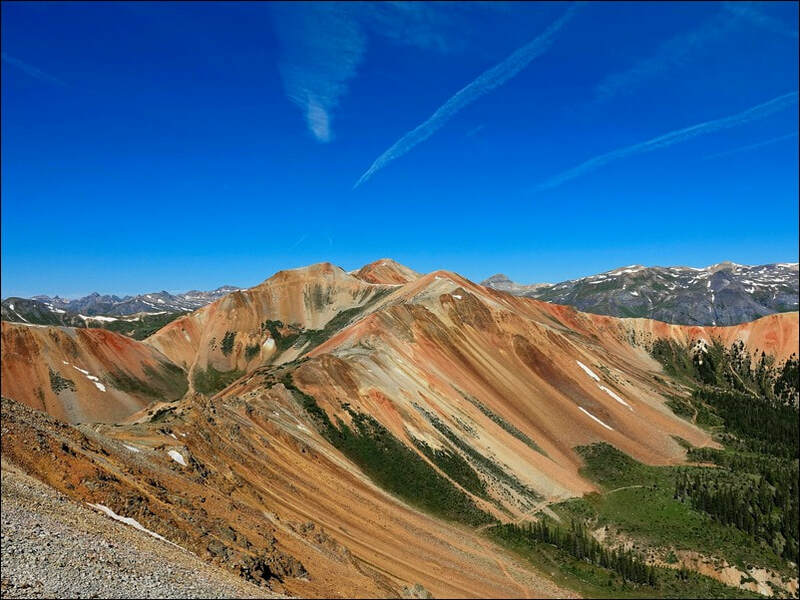 Climb a set of switchbacks that "corkscrew" up to Corkscrew Pass, then gaze in wonder at Red Mountains 2 and 3. 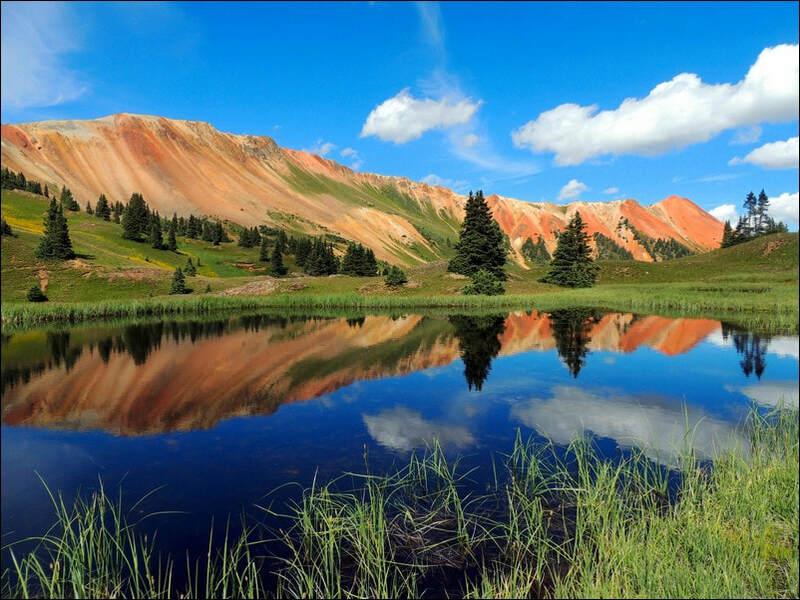 Take an immediate right at the pass and drive out to a saddle with other great views of the Red Mountains. Continue beyond the pass for a mile or so and come to a privy beside the road. 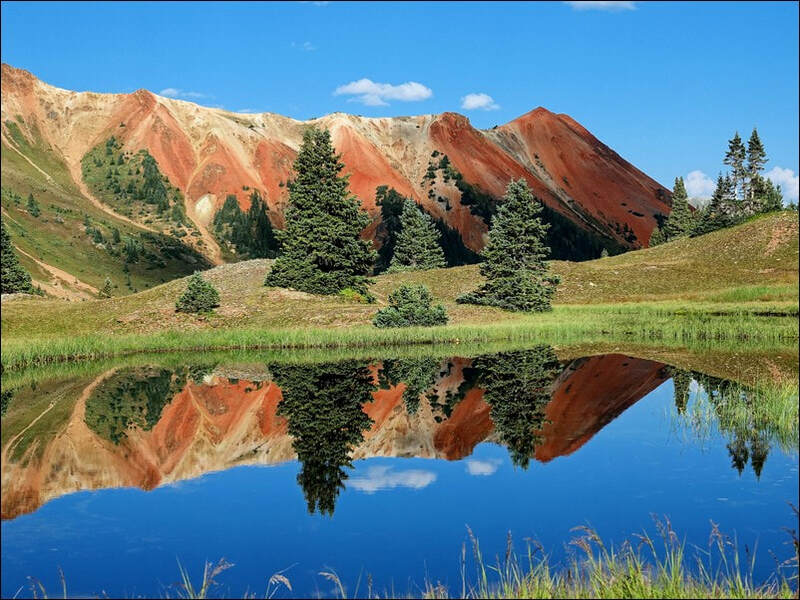 The next left goes to Gray Copper Gulch and the beautiful lakes shown in the photos. The road dead ends at private land a short distance beyond the lakes. 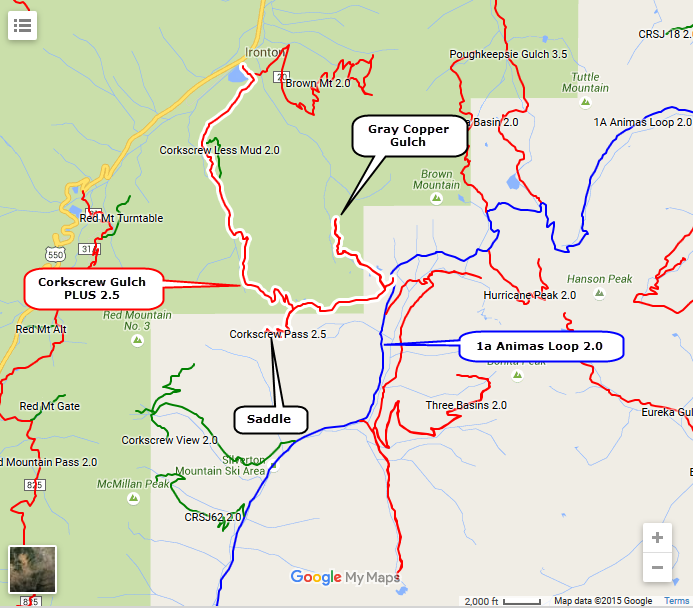 Return to the main road and Animas Loop 2.0 is a short distance to the left.